I recently learned that ‘chia’ is the Mayan word for ‘strength’. It only makes sense to start off our day with a bowl of ‘strength’ and a cup of ‘love’ (the Mayan word for green tea) (just joking, the Mayan word for love is kimchi). But seriously, what is for breakfast once croissants, toast, yoghurt and an elephant-sized spoonful of peanut butter are off the menu? Unless it’s chilly out, I do love the idea of raw foods in the morning. Starting off your day with lots of energetic enzymes and clean, undamaged fats and nutrients is a really good thing. I also like the idea of a hydrating breakfast, because water in our food is some of the easiest water to consume. I don’t really want to call this chia pudding, that word weirds me out in a hospital-y kind of way. It is basically homemade almond and Brazil nut milk, blended with whole fruit (a pear, in this case, but by all means, go with what is local and seasonal where you live) for a nudge into the sweet direction, and spices (cinnamon, nutmeg and cardamom, to help warm it up and slow the sugar absorption), whisked together with chia seeds and left for 5-10 minutes to gel up, taking on a pudding-like texture. 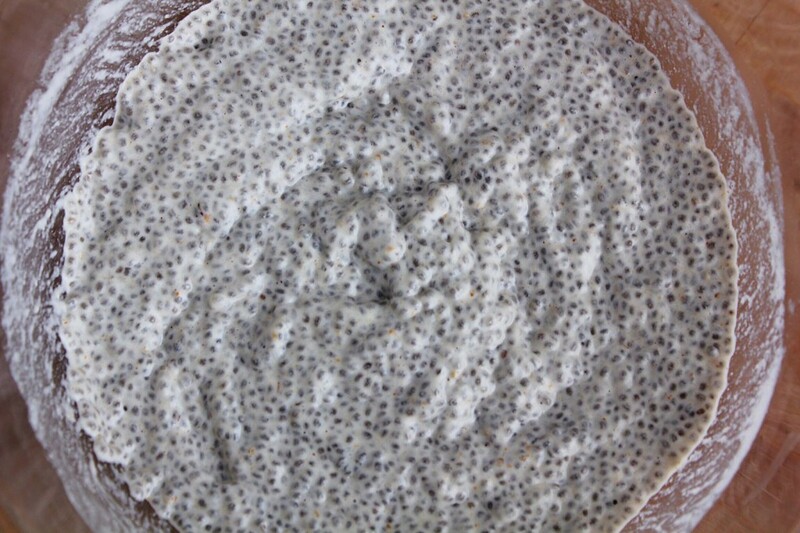 Chia seeds taste almost like nothing, especially once they have gel-ed up. They are like a friend who is a good listener –they are there for moral support (in the form of a surprising amount of protein, fiber, omega-3s, antioxidants and a gazillion minerals) but don’t need to be the center of attention (unlike other plants… ahem, garlic). 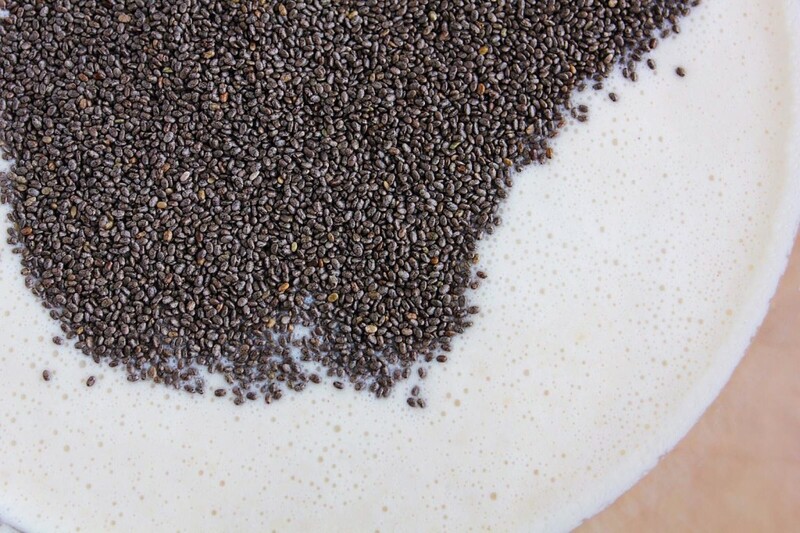 Liquid is necessary to puff up the chia, but instead of nut milk blended with fruit, you could also use seed or coconut milk, coconut water, green juice, greens powder or protein powder mixed with water (which may already be part of your morning routine), or even your leftover smoothie. 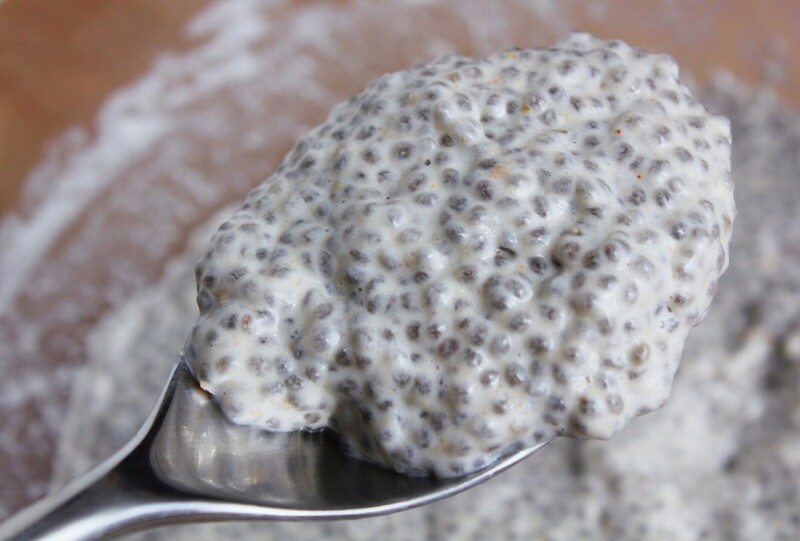 Stir it together with some whole chia seeds and it will take on a scoop-able constancy (basic ratio- 3 Tbsp chia:1 c liquid). Scoop the chia mixture onto fresh fruit and you won’t even think about yoghurt (unless you are in Greece. It is hard not to think about yoghurt when in Greece…). It really is the perfect addition to a bowl of fruit. 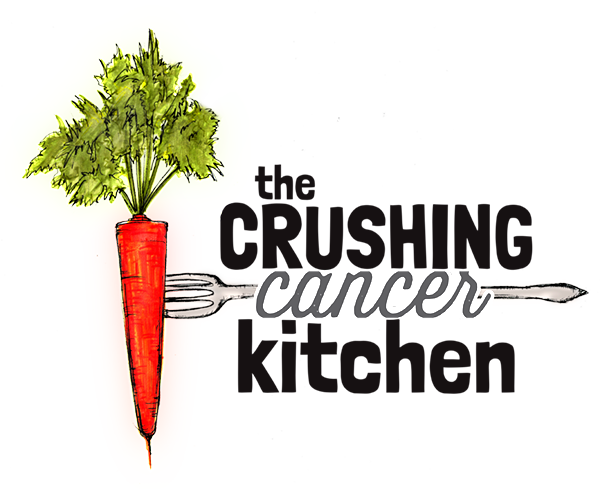 It makes it more filling, more interesting, more nutritious and, well, stronger. As much as I don’t love the ‘pudding’ reference, I have to admit that on top of being generally delicious, it is also helpful if you are having treatment-related symptoms that make soft, bland, easy-to-get-down food your friend for the moment. 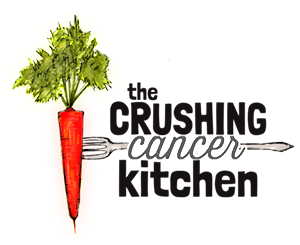 Unlike actual hospital pudding though, this amazing stuff is amping up your healthy cells for a good, strong fight. 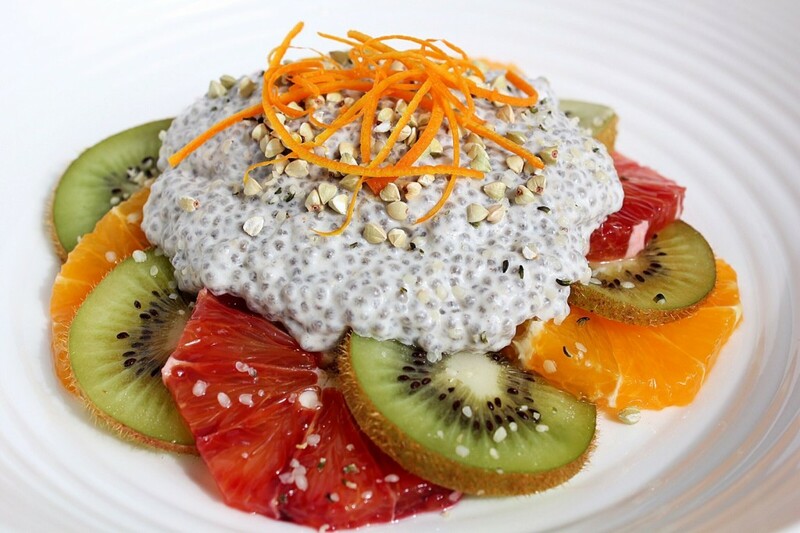 In the comments below, let me know what your favourite places to include chia in your diet are! 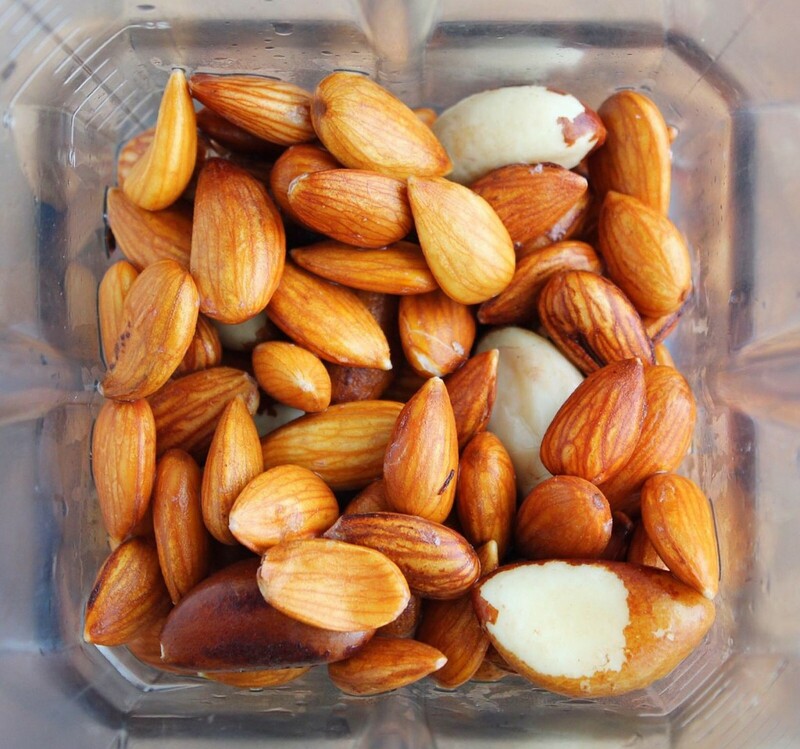 Blend the water and nuts in a blender for 1-2 minutes (high power blender) or 5-10 minutes (lazier blender). 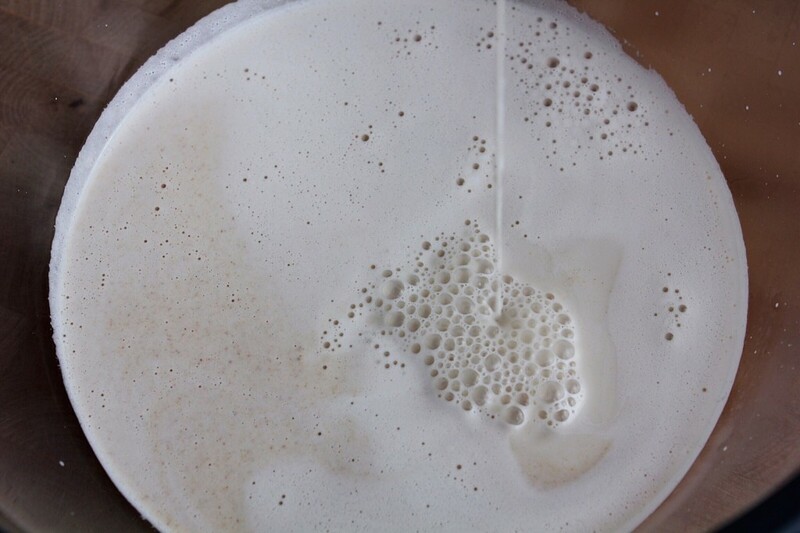 Strain through a nut milk bag, cheesecloth or a fine-mesh sieve. 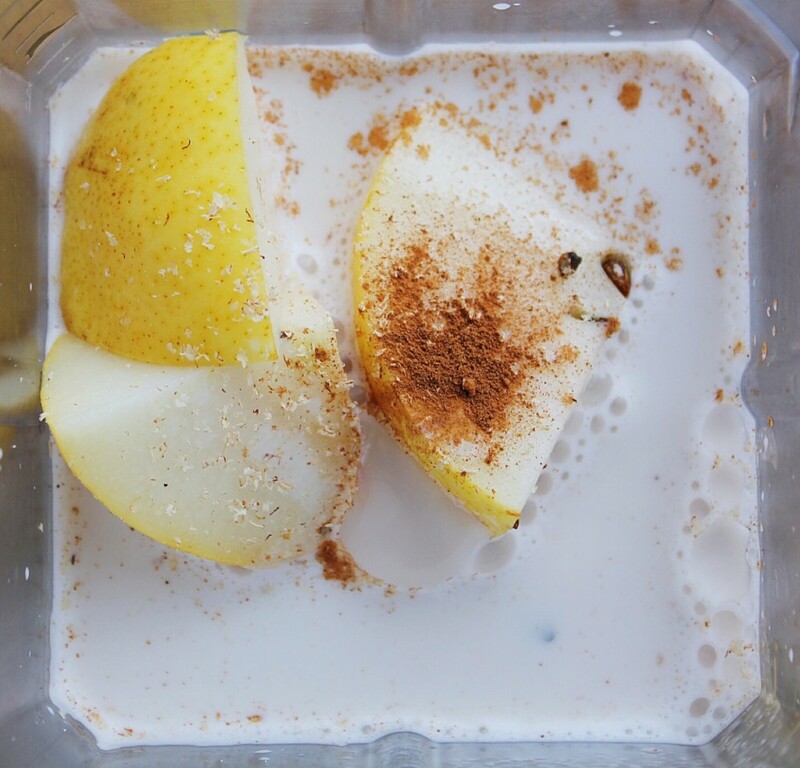 Reserve the pulp (freeze or dehydrate) for brilliant uses (smoothies). 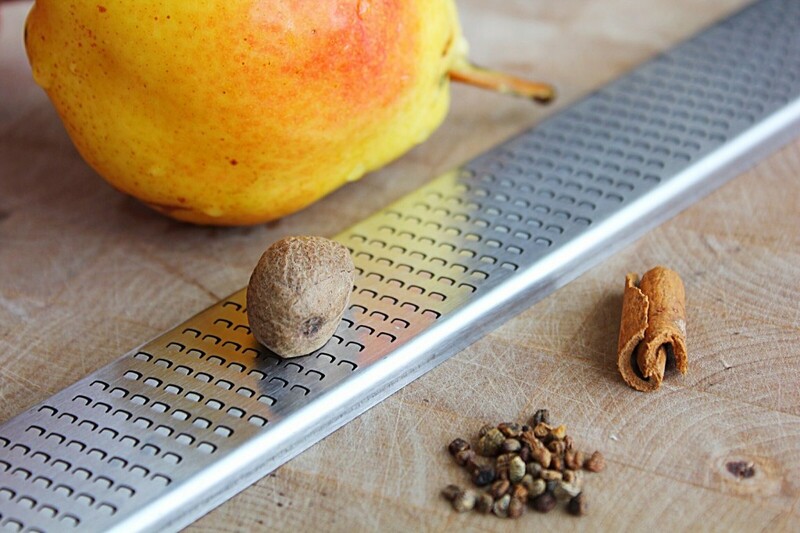 Back in the belnder, blend the milk, spices and pear until smooth. 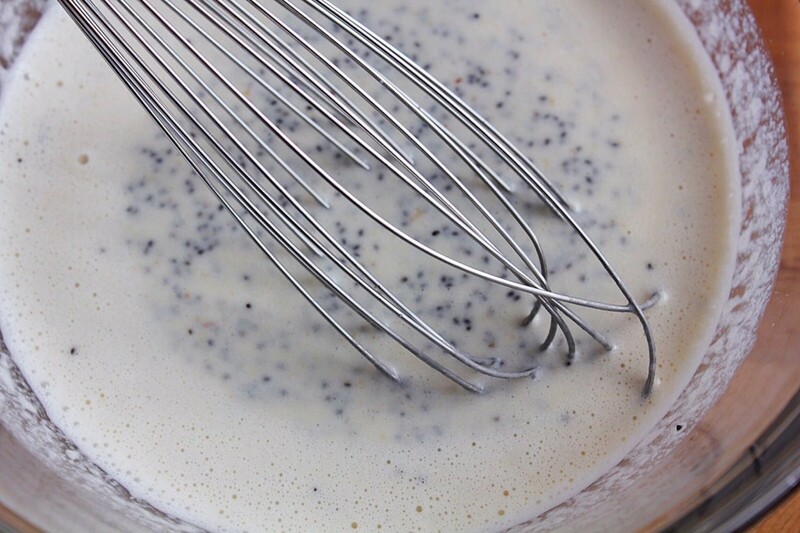 Pour into a bowl and whisk in the chia seeds. Let sit for about 10 minutes until the seeds gel and the mixture thickens. 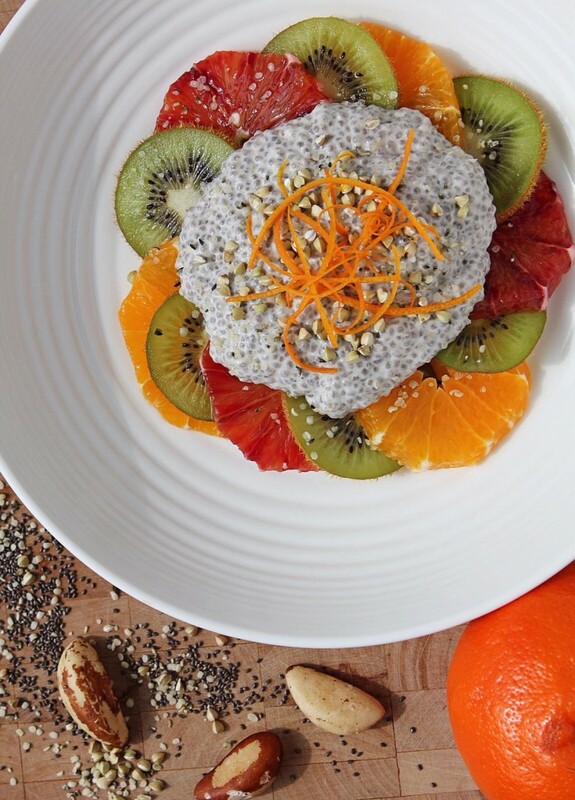 Spoon on top of fresh fruit, top with buckwheat and hemp hearts for added texture.